2014 AMSI-SSAI Lecture Tour: Normalization of RNA-Seq Data: Are the ERCC Spike-In Controls Reliable? 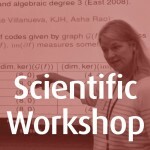 Events » 2014 AMSI-SSAI Lecture Tour: Normalization of RNA-Seq Data: Are the ERCC Spike-In Controls Reliable? The External RNA Control Consortium (ERCC) developed a set of 92 synthetic polyadenylated RNA standards that mimic natural eukaryotic mRNA. The standards are designed to have a wide range of lengths (250-2,000 nucleotides) and GC-contents (5-51%). The ERCC standards can be spiked into RNA at various concentrations prior to the library preparation step and serve as negative and positive controls in RNA-Seq. Ambion commercializes spike-in control mixes, ERCC ExFold RNA Spike-in Control Mix 1 and 2, each containing the same set of 92 standards, but at different concentrations. We investigate the use of the ERCC spike-in controls for two main purposes: (a) Quality assessment/quality control (QA/QC) of RNA-Seq data and benchmarking of normalization and differential expression (DE) methods, and (b) Direct inclusion in betweensample normalization procedures. We have two RNA-seq data sets which make use of the ERCC controls: a local one concerning treated and untreated zebrafish tissue, and some of the SEQC samples. A variety of normalization methods will be compared, both using and not using the ERCC controls. One of the methods we discuss is a variant on our recently published RUV-2 method, which uses SVD on negative controls. Between the months of August and November this year, the 2013 Prime Minister’s Science Prize winner and one of Australia’s most eminent statisticians, Professor Terry Speed, will be touring the country as the 2014 AMSI-SSAI Lecturer. 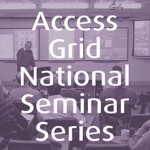 This AGR Seminar is part of the Lecture Tour. This annual event gives the research community and the general public an opportunity to hear top academics in the fields of both pure and applied mathematics speak about their research. For more information about the Lecture Tour schedule, please click here. Contact Cheryl Praeger, with a cc to agbooking-is@uwa.edu.au, one week in advance at the latest.